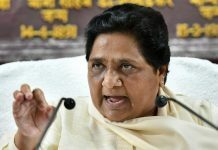 Madhya Pradesh CM added that BJP won't have numbers and to think that they will ever be able to form a government is too far-fetched. Meet Milind Deora's new BFFs ! PM Modi at the convention also announced that if re-elected, he would form a National Traders' Welfare Board. 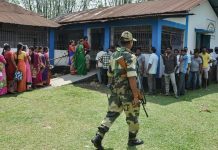 ThePrint brings images from Bijnor and Muzaffarnagar constituencies. 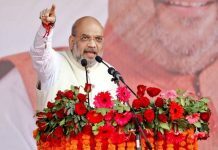 In its manifesto, the ruling BJP has promised to take India to new heights by focusing on national security, lowering taxes, and reducing poverty in the next five years. 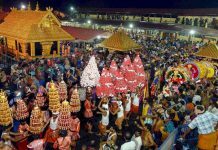 ThePrint's photographer Praveen Jain brings you images from Malini's visit. 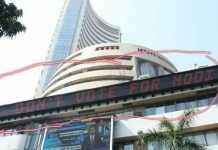 A fake image of the Bombay Stock Exchange flashing ‘Don’t vote for Modi’ message is being widely circulated on social media. 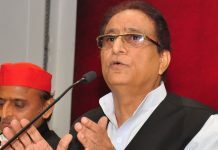 Samajwadi Party's Azam Khan, a 9-time Uttar Pradesh MLA, is facing a heated battle this Lok Sabha election against his own protégé Jaya Prada. 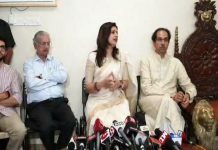 Priyanka Chaturvedi quit the Congress after slamming them for reinstating ‘goons’ who had allegedly misbehaved with her. 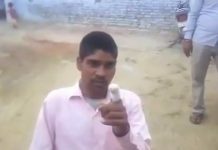 Pawan Kumar says he is a staunch BSP supporter but "accidentally" pressed the lotus instead of the elephant symbol on the EVM on 18 April. 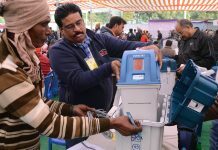 J&K CEO says that given the current scenario, even holding elections, that too peacefully, were a task. 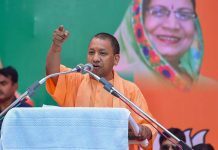 Election Commission had barred Yogi Adityanath from campaigning for 72 hours after he made communal remarks at a rally in Meerut. 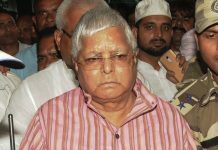 The JD(U) has written to the EC asking if Lalu Prasad had signed his party candidates' nominations after seeking a court's permission. 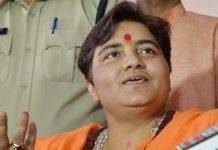 BJP’s Bhopal candidate Sadhvi Pragya Thakur, an accused in the 2008 Malegaon blast case, said Mumbai ATS chief Hemant Karkare died because she had ‘cursed’ him. In her over two-decade political career, Jaya Prada has made many deft survival moves. This time, she is up against the man who was once her guide. Priyanka Chaturvedi, who was a Congress spokesperson, resigned after party reinstated ‘goons who threatened her’. 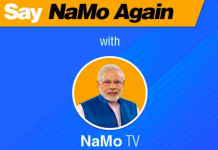 The Election Commission said NaMo TV, which sponsored by BJP, can air speeches if there’s no reference to poll-bound areas or candidates. 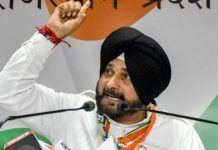 The new-age Skill India needs to be digital in nature, focused on jobs of tomorrow and powered by AI. 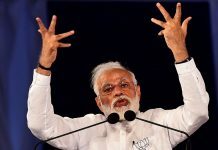 Historically, whoever wins Valsad wins India. 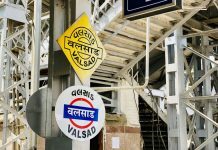 ThePrint travels to this bellwether constituency to understand the 2019 Lok Sabha election. 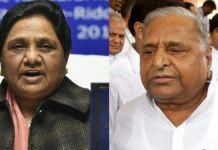 Since the infamous Lucknow guesthouse incident, BSP's Mayawati and SP's Mulayam have been sworn enemies. 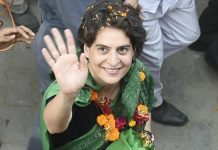 But Friday's rally in Mainpuri could well make that history. 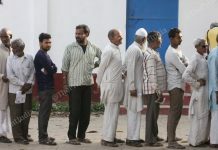 Samajwadi Party president Akhilesh Yadav said that it is EC's responsibility to rectify the problem within 15 minutes, so that polling is held undisturbed. 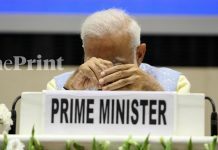 No one from Congress has visited the Statue of Unity despite Sardar Patel being a leader of their party, said PM Modi. 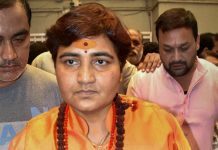 The Election Commission imposed a 72-hour campaigning ban on Uttar Pradesh CM Adityanath for making communal remarks at an election rally. 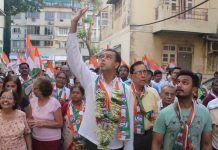 Mumbai Congress chief Milind Deora releases video in which Mukesh Ambani and Uday Kotak vouch for him. 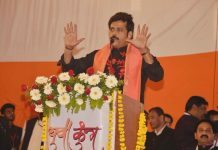 Do these industrialists have vested interests, asks Shiv Sena. 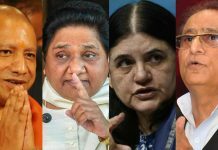 Gorakhpur has voted for mahants of the Gorakhnath mutt, mostly representing the BJP, for over 30 years since the first election was held in 1952.